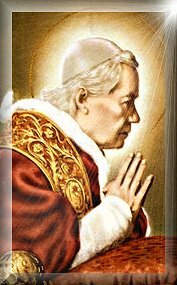 As the late summer wanes, the highlight of this first week of September in the month of Mary's Most Sorrowful Heart is the feast Tuesday of the only Pope of the twentieth century who is a saint and it should remain as only Pope Saint Pius X for even His Holiness Pope Pius XII had his foibles. 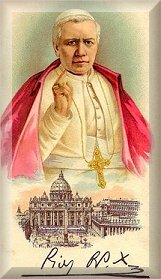 As far as such apostates as Angelo Roncalli aka John 23, Karol Wojtyla aka JohnPaul 2 or even the thought of Giovanni Montini aka Paul the Sick makes true Catholics sick to their stomach and only verifies the horrific joke that is the CONciLIAR church. Pray it will implode soon. 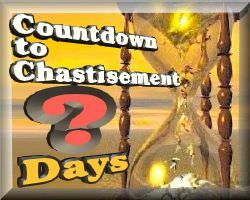 You'll note during our Annual Summer Hiatus Edition we had a countdown to the Chastisement and today would have been 99 Days and counting. However, the so-called "canonizations" or, as we term it, CONizations have been delayed. We can only pray it will be delayed in perpetuity. We have decided to return to weekly editions as is explained in editor Michael Cain's PewPOINT in Monday's issue which focuses on a plea for his wife Cyndi who is back in the hospital with an infection that's caused high fever and low blood oxygen and blood pressure. He asks you to pray for her and, if you can find it in your heart, to become one of "Cyndi's Angels" to help her in her time of need. With her immune system so devastated, she is so susceptible to even the mildest of germs, and in today's world of chemicals what germs are not floating around unseen? Those who understand her predicament can click the Cyndi's Angels graphic to the right to read more on her latest setback. Be assured she is a fighter and will not give up. And what is she doing during all this while in flat in bed? 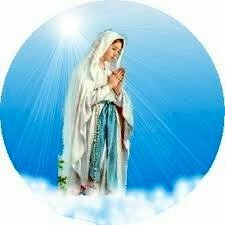 None other than remembering all of you in her constant Rosaries and prayers in offering up her sufferings in prayerful hope that someday we all can restore all things in Christ as the holy Giuseppe Melchiorre Sarto set as a goal in his motto Instaurare omnia in Christo. 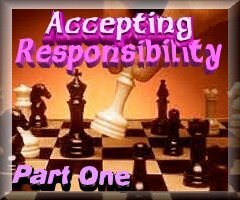 To bring readers up-to-date we are re-running Griff Ruby's excellent series "Accepting Responsibility" with part one on Friday and succeeding chapters until towards the end of the month when he will resume with new chapters. 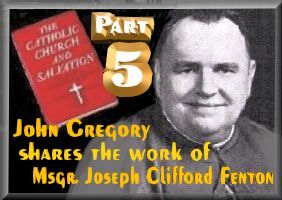 In addition, John Gregory continues his series on Monsignor Joseph Clifford Fenton of his work "The Catholic Church and Salvation" as well as providing weekly reflections for the respective Mysteries of the Rosary, this week The Crucifixion coordinated with the Fifteen Saturdays Rosary Crusade first introduced by His Excellency Bishop Robert McKenna, O.P.. And in the devotional mode, we continue with the Novena in preparation for the Nativity of the Blessed Virgin Mary as well as First Friday and First Saturday Devotions the end of this week. 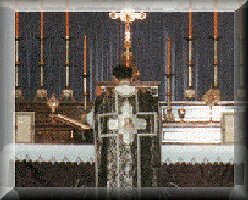 In addition we are focusing on the excellent Meaning of the True Mass in video and explanation, for it is the Traditional Latin Mass, the Apostolic Canonical Mass of All Ages which Father Frederick Faber rightly called "the most beautiful thing this side of Heaven." 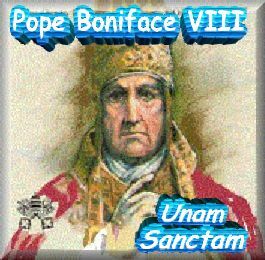 We also resume our series each day comparing the graces of the True Holy Sacrifice of the Mass and the fallacy of the Novus Ordo Mess that we urge all to flee from as fast as they can. This is the forty-sixth of seventy-seven Graces derived from participation at the Holy Sacrifice of the Mass - the Mass of All Ages - the Latin Mass of the Roman Rite which was decreed to be said "in perpetuity" by Pope Saint Pius V in codifying the infallible decrees of the dogmatic Council of Trent. These graces are taken from Father Martin von Cochem's Explanation of the Holy Sacrifice of the Mass with an imprimatur. 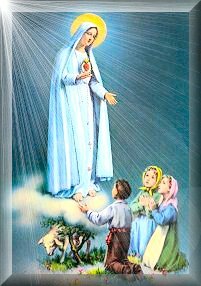 Reason forty-six is that the Holy Sacrifice of the Mass is the best means of venerating the Blessed Mother of God, and increasing her joy. This is the forty-seventh of seventy-seven Graces derived from participation at the Holy Sacrifice of the Mass - the Mass of All Ages - the Latin Mass of the Roman Rite which was decreed to be said "in perpetuity" by Pope Saint Pius V in codifying the infallible decrees of the dogmatic Council of Trent. These graces are taken from Father Martin von Cochem's Explanation of the Holy Sacrifice of the Mass with an imprimatur. Reason forty-seven is that by hearing the Holy Sacrifice of the Mass we can also enrich our souls more than anything else in the world. This is the forty-seventh of 62 reasons which were submitted by the Priests of Campos and endorsed by the late great Bishop Castro de Mayer. Reason number forty-seven: Because the intrinsic beauty of the Traditional Mass attracts souls by itself; whereas the New 'Mass', lacking any attractiveness of its own, has to invent novelties and entertainments in order to appeal to people. We have seen this only too clearly in the clown 'masses', halloween 'masses' and most recently in Rio the Samba 'masses' on the Copacabana Beach with none other than Bergoglio himself. Oh yeah, it's totally bizarre. This is the forty-eighth of seventy-seven Graces derived from participation at the Holy Sacrifice of the Mass - the Mass of All Ages - the Latin Mass of the Roman Rite which was decreed to be said "in perpetuity" by Pope Saint Pius V in codifying the infallible decrees of the dogmatic Council of Trent. These graces are taken from Father Martin von Cochem's Explanation of the Holy Sacrifice of the Mass with an imprimatur. 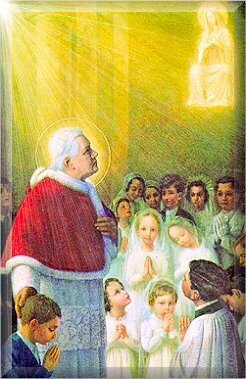 Reason forty-eight is that by hearing holy Mass devoutly, we can give greater honor to the angels and saints than by reciting many prayers. This is the forty-eighth of 62 reasons which were submitted by the Priests of Campos and endorsed by the late great Bishop Castro de Mayer. 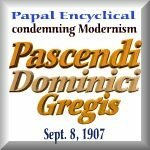 Reason number forty-eight: Because the New mass embodies numerous errors condemned by Pope St. Pius V at the dogmatic Council of Trent which always trumps Vatican 2. vg. 'Mass' totally in vernacular, words of Consecration spoken aloud, etc. 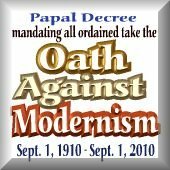 See Condemnation of Jansenist Synod of Pistia and Quo Primum and De Defectibus as well as the errors condemned by Pope Pius XII (e.g., altar in form of table. See Mediator Dei). This is the forty-ninth of seventy-seven Graces derived from participation at the Holy Sacrifice of the Mass - the Mass of All Ages - the Latin Mass of the Roman Rite which was decreed to be said "in perpetuity" by Pope Saint Pius V in codifying the infallible decrees of the dogmatic Council of Trent. These graces are taken from Father Martin von Cochem's Explanation of the Holy Sacrifice of the Mass with an imprimatur. Reason forty-nine is that in the Holy Sacrifice of the Mass we perform a good work of the highest value. This is the forty-ninth of 62 reasons which were submitted by the Priests of Campos and endorsed by the late great Bishop Castro de Mayer. 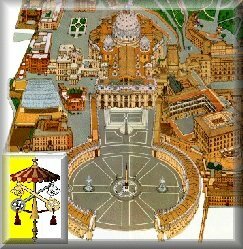 Reason number forty-nine: Because the New 'Mass' attempts to transform the Catholic Church into a NEW, ecumenical church embracing ALL ideologies and ALL religions -- right and wrong, truth and error -- a goal long dreamt of by the ENEMIES of the Catholic Church and proved over the past fifty plus years during this time foretold in Sacred Scripture as the Great Apostasy. This is the fiftieth of seventy-seven Graces derived from participation at the Holy Sacrifice of the Mass - the Mass of All Ages - the Latin Mass of the Roman Rite which was decreed to be said "in perpetuity" by Pope Saint Pius V in codifying the infallible decrees of the dogmatic Council of Trent. These graces are taken from Father Martin von Cochem's Explanation of the Holy Sacrifice of the Mass with an imprimatur. Reason fifty is that the Holy Sacrifice of the Mass, carried out in the Traditional Latin Mass, is a signal exercise of pure faith, which will receive a great reward. This is the fiftieth of 62 reasons which were submitted by the Priests of Campos and endorsed by the late great Bishop Castro de Mayer. Reason number fifty: Because the New 'Mass', in removing the salutations and final blessing when the priest celebrates alone, shows a denial of, and disbelief in the dogma of the Communion of Saints. In its place is a kind of universal salvation where everyone goes to Heaven because God is all-loving. 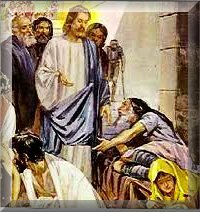 They forget He is also all-just and we pray it is not too late when they realize that fact for there are consequences to disobeying God's commandments and the infrangible teachings of the True Church. Because it has been a while since Griff Ruby's important series on "Accepting Responsibility" and since we have new readers, we have decided to redux the series that he will continue towards the ned of the month with new installments. Griff points out that over the past fifty plus years it has seemed like the Church is a rubber room where we continue to bang up against padded walls with no progress. It's time to take it to a higher level and, in the nefarious chess game the Novus Ordo Vatican II church of conciliarism has been playing, the key is the true bishops, few though they may be, who alone have authority. Symbolized by the white bishop on the chess board, if they trust in God they can make the right moves to trump any move by the black-hearted apostates who seek to sweep the board clean of Traditional Catholics. It's time to bounce out of the constraints of the rubber room and take action. While we can be but spectators in the final moves, we can act as loyal pawns and knights to help move the bishops into position to take back the authority they rightly possess by the power conferred upon them through their unbroken succession. It's hightime to checkmate the imposters. Humanly, only the bishops can do that. Griff lays out the obvious in part one, Is the Church Really a Rubber Room? This is the fifty-first of seventy-seven Graces derived from participation at the Holy Sacrifice of the Mass - the Mass of All Ages - the Latin Mass of the Roman Rite which was decreed to be said "in perpetuity" by Pope Saint Pius V in codifying the infallible decrees of the dogmatic Council of Trent. These graces are taken from Father Martin von Cochem's Explanation of the Holy Sacrifice of the Mass with an imprimatur. Reason fifty-one is that when we bow down before the Sacred Host and Sacred Chalice, we perform a supreme act of adoration. This is the fifty-first of 62 reasons which were submitted by the Priests of Campos and endorsed by the late great Bishop Castro de Mayer. Reason number fifty-one: Because the altar and tabernacle are now separated, thus marking a division between Christ in His priest-and-Sacrifice-on-the-altar, from Christ in His Real Presence in the tabernacle, "two things which of their very nature, must remain together." 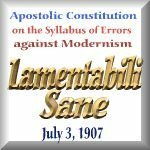 (Pius XII) But then long ago the CONciLIAR church abandoned any resemblance to a true Mass with Paul the Sick's "Abomination of Desolation". This is the fifty-second of seventy-seven Graces derived from participation at the Holy Sacrifice of the Mass - the Mass of All Ages - the Latin Mass of the Roman Rite which was decreed to be said "in perpetuity" by Pope Saint Pius V in codifying the infallible decrees of the dogmatic Council of Trent. These graces are taken from Father Martin von Cochem's Explanation of the Holy Sacrifice of the Mass with an imprimatur. Reason fifty-two is that each time we gaze reverently upon the Sacred Host we will receive a recompense in Heaven. This is the fifty-second of 62 reasons which were submitted by the Priests of Campos and endorsed by the late great Bishop Castro de Mayer. Reason number fifty-two: Because the New 'Mass' no longer constitutes a vertical worship between God and man, but rather it has become a horizontal worship between man and man in a totally humanistic manner that leads to lethargy, Protestantism and eventually agnosticism spurred on by lukewarmness because if one doesn't believe in something, one will fall for anything.